Coming to Wave from another payroll application? If you're switching to Wave mid-year, you will want to enter in your historical payroll data so that employee tax forms and pay stubs are accurate. 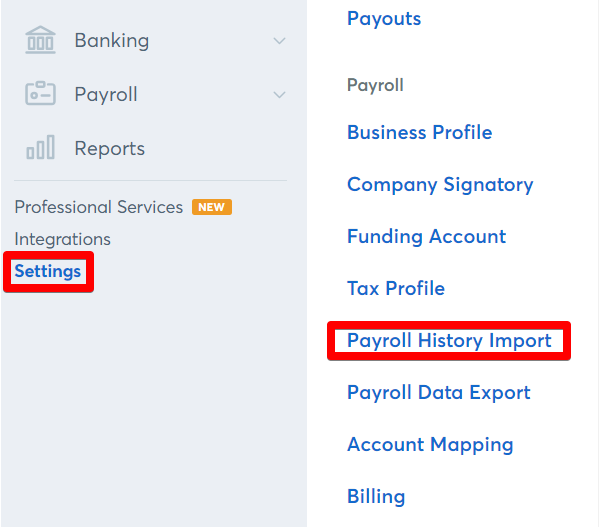 Select the Settings option on the left menu and click Payroll History Import under the Payroll heading. In Canada, you will need to enter the amounts for gross wages and any deductions before you run your first payroll with Wave. In the United States, we will guide you through setting up. Tip: If you ever have to leave the setup process to set up anything else, you can always start again by clicking the gear icon and Import Year-to-date. When you are finished, Wave will bring you back to the Payroll Overview page!